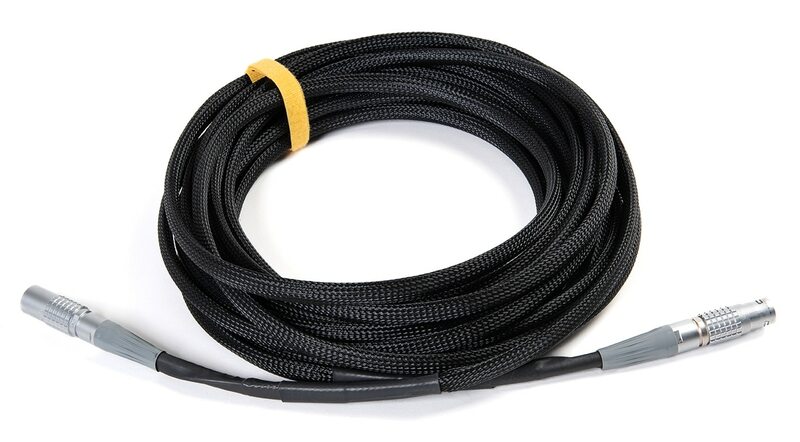 The 3026-10M probe-extension / MUX cable can be used either to extend the cable length of a Model 1226 probeThe actual sensor that is placed in the magnetic field. The NMR probe contains the NMR sample; the Hall probe..., or to connect the MUX6026 probeThe actual sensor that is placed in the magnetic field. The NMR probe contains the NMR sample; the Hall probe... multiplexerAn adaptor that allows multiple probes to be connected to a single magnetometer.... to the PT2026. The standardA standard is the internationally agreed-upon physical representation of a unit. For example, a caesium clock is the standard for... cable is 10m long; custom lengths of up to 100m are available upon request.